When I arrived at this location it was foggy and dark. 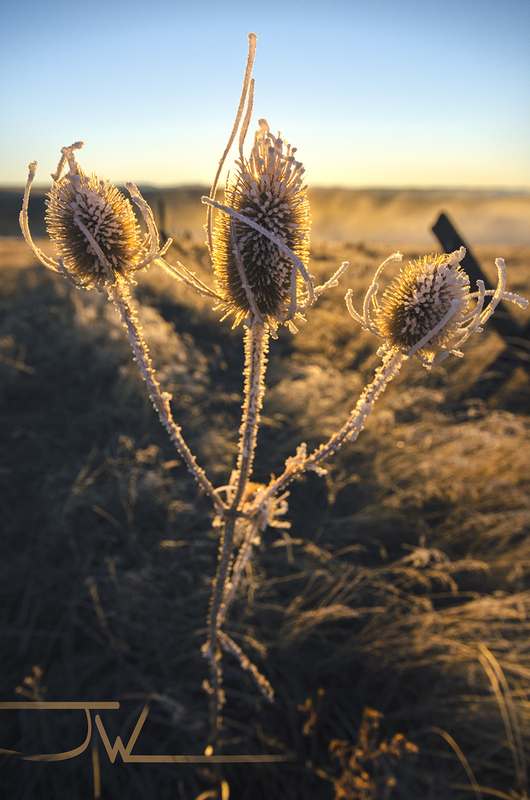 After taking a few shots of an icy mountainside the sun came out and illuminated all of the hoarfrosted plants on it. This is one of those plants.